Siena has just signed two innovative early assurance agreements with Capital Region schools to secure their eligible students a seat in Siena’s future freshman classes. 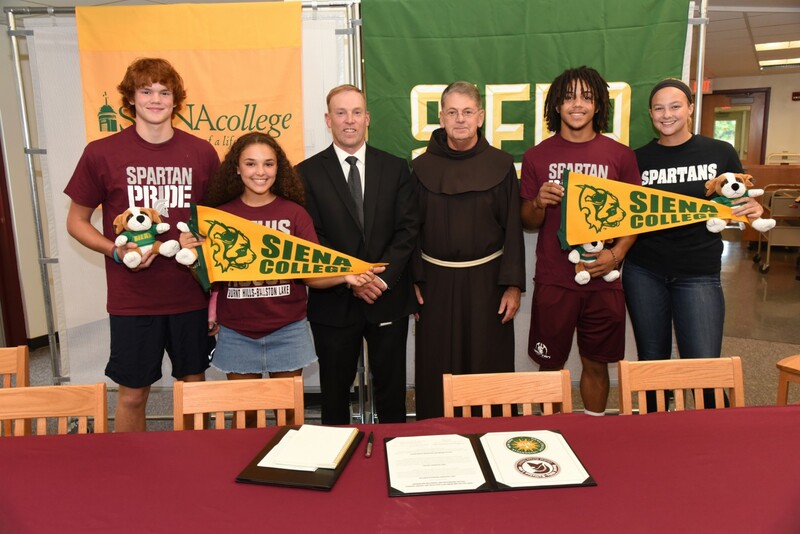 An Early Assurance Program agreement was signed Thursday between Siena College and Burnt Hills-Ballston Lake High School, to establish a pathway for qualified students to matriculate at Siena on pace to earn a B.S. and MBA – in four years. Effective immediately, eligible BH-BL students can apply for admission to the program as early as the 10th grade. After meeting the required course requirements at BH-BL, students will have the opportunity to enroll at Siena on pace to earn a customizable bachelor of science in business degree, then a master of business administration, all within four years. There will also be an accelerated track for BH-BL students to earn both degrees in three years. 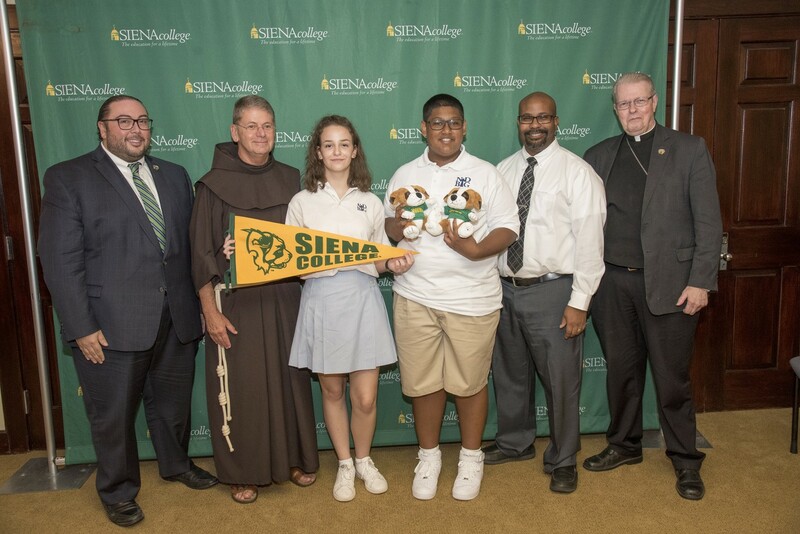 A separate early assurance agreement was signed September 14 with Notre Dame-Bishop Gibbons School in Schenectady to secure enrollment in any bachelor’s degree program at Siena. Eligible students may apply for these programs as early as their sophomore year based on their past and projected academic performance. Students will need to submit an application, essay and transcript, and must be on track to complete a required number of academic units in English, social studies, mathematics, laboratory science, and language. If the agreements yield positive results for the schools involved, they may be expanded to other high schools, said Jones. Siena will work with both schools – Burnt Hill-Ballston Lake and Notre Dame-Bishop Gibbons - to present a series of workshops at the district’s middle school and high school for all students, regardless of their college choices. Topics will include financial aid, the college application process, making campus visits and more. Students who are accepted to either early assurance program will not be required to enroll or to forgo application to other schools; rather they will be able to secure their admission and reserve a place at Siena.